Slideshow is a creative way to give new life to your old photos. With background music, transitions, effects, titles, menu, theme, slideshow allows a more interesting way to view your pictures and share them with your family and friends. To go a step further, you can encode your slideshow into movie files for playing on mobile devices like iPad, iPhone, iPod touch, Android, etc. 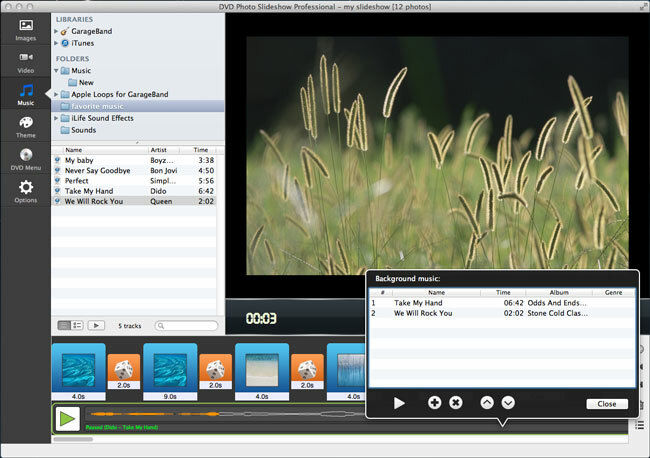 or uploading to video sharing websites like YouTube, Dailymotion, Metacafe, and more. 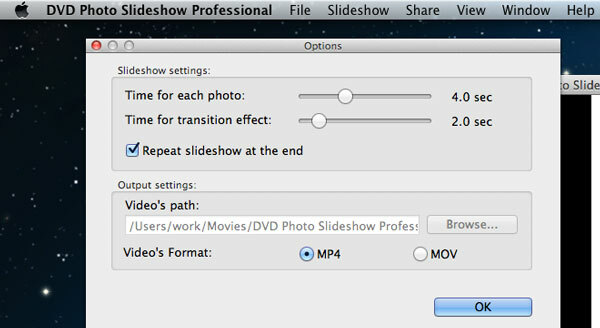 In this post, I'd like to show how to create MOV photo slideshow movie on Mac using DVD Photo Slideshow for Mac. 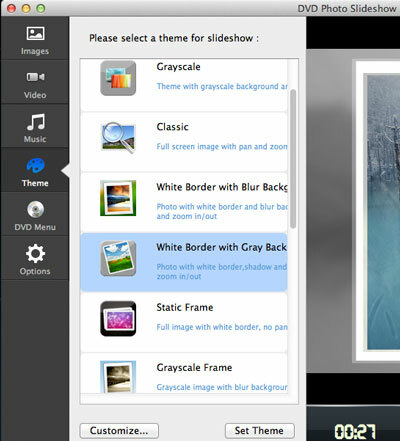 In the process of creating your slideshow, you can click the Play button to preview the real time effects. Here, just choose MOV as the output format. 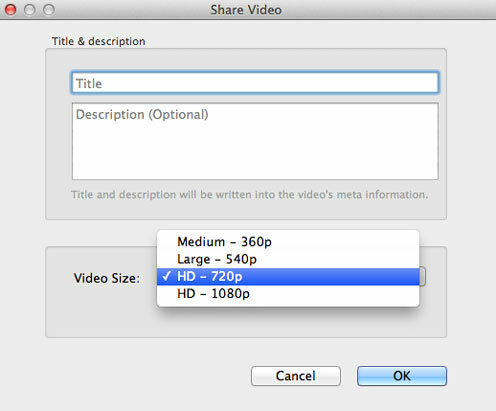 Note: DVD Photo Slideshow for Mac offers a lot more options to make a perfect slide show. Click to learn more about how to use DVD Photo Slideshow for Mac. It can also be used to burn photo slideshow to DVD on Mac.